If you’ve ever read my books, heard me speak or taken a class with me, then you are no doubt familiar with a drum I beat often and hard: don’t wait to be discovered; produce yourself! The flip side of my frequent don’t-wait-to-be-discovered admonition is, naturally, to discover yourself. The word “discover” means to see, to get knowledge of, to learn of, to find, to gain sight of, to notice and to realize. Once you become willing to discover yourself, you have the key to everything-you can know your thoughts, uncover your plans and ambitions, and see the best path right in front of you. Why is this so important these days? Because if you don’t know which direction you are headed and why, there are more ways to get off the path and into the woods than ever. So if your choices feel like they spoke in too many directions, why not pause and dive back into self-discovery? Even five minutes of self-reflection can get you out of spin mode and reset your clarity of direction. Because if you don’t know who you are, what you are all about, and where you are going, then nobody else is going to get it either. Why then, would you want to write to become discovered, when the same skill can be used to see and know anything and everything you are ever curious about? When you feel adrift in a sea of choices, don’t reach for the input of others. Reach for your pen or your keyboard and-WOOSH!-you’ll find that you had the power to shine in your capable hands all along. Next thing you know, you are off, making discoveries that can take you and your readers anywhere. Through writing you can discover a new use for something old. Indeed the process of writing IS a new use for something old: you get to share a seemingly endless stream of words on nothing but good ol’ brainpower. What a joy to discover something for yourself through the process of writing that may have been previously known to others but was unknown to you. Writing allows you to chance upon ideas, to observe closely or from a distance, to notice what you hadn’t before, to find out things that thrill and dismay you, and to identify, name and claim what is revealed. When you write to discover, instead of writing to be discovered, you are an active force in the world. You become privy to your own thoughts, your personal passions, your true feelings, your once distant memories, and the very stuff you need to express. Your efforts pay off with exponential rewards, which cannot be topped by literary accolades or rave reviews. You remember to write for the pure bliss of writing. You come to the center. The seed. The source from which creation springs. And from there, do you really need the adoration or acclaim or attention of others? You don’t. You have it all. The key to creation. The core. The root. And the discovery is divine. Get Known Featured in NYT Bestselling Author’s Blog Today! Allison Winn-Scotch has been kind enough to feature me in an interview about getting known in her blog today! She’s got a great blog that demystifies the publishing industry. If you don’t see your favorite topic in the most current posts, check the archives. She’s covered tons of ground over the past couple of years. Clearly Allison Winn-Scotch is a writer mama we can all learn from. Ready to Get Known, Writers? Come to Salem, Oregon Tonight! I’ll be speaking at the Salem branch of Willamette Writers tonight at 7 p.m.
Hope to see all the writers from our state’s capital who want to get known there! Even if you are not yet known and you don’t have a writing specialty, you will enjoy this lively presentation about how to name, claim, cultivate and explain your all-important writer’s platform from scratch. Becoming visible is more crucial to landing a book deal than ever, according to agents and editors in every facet of the publishing industry. Simply churning out a book isn’t enough. Aspiring authors need to develop a platform in order to get noticed. 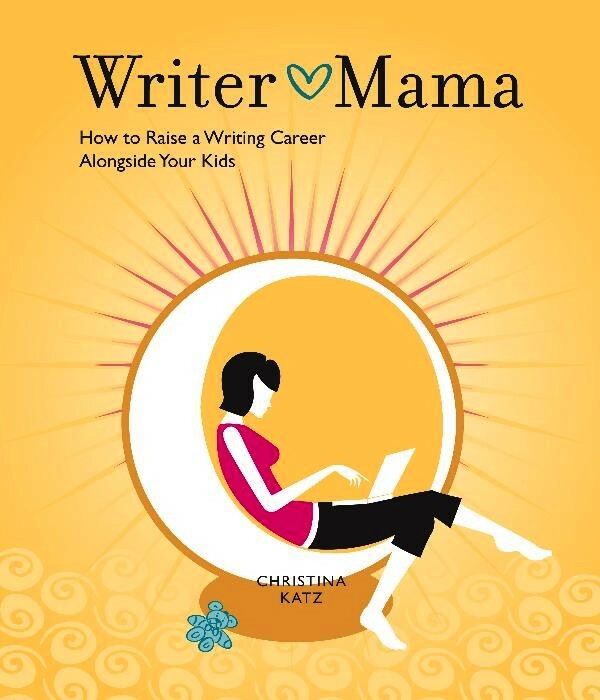 Based on her book, Get Known Before the Book Deal, Christina Katz, will help you see the bigger platform picture and then take the small steps every writer must in order to get known and land a book deal. Come hear me talk about how YOU can get known! If you would like to invite me to your conference or event, please email me at writer mama at earthlink dot com. I will be visiting all the bookstores in the greater Portland area and signing their stock of Get Known in time for the holidays. I’ll be sure to let you know when that happens, so that you can support your favorite bookstore. But what if you live further away and you really, really want signed copies of my books? Well, now for a limited time, you can order them directly from me! Until December 30th, I will Priority Mail single copies of Get Known or Writer Mama right to your home. And on that note, I know what I’m giving for holiday gifts this year…bookstore gift cards! Why? Because I support bookstores, publishers and authors, that’s why. Now that the election is over, it’s important for all of us to remember that every dollar we spend is a vote. Won’t you join me in voting for books and magazines this holiday season? Get Known Before the Book Deal, Use Your Personal Strengths to Grow an Author Platform from Christina Katz and Writer’s Digest Books on sale now! Before you can land a book deal—before you can even attract the interest of agents and editors—you need to be visible. How do you become visible? You develop a platform, or a way of reaching your readers. Everybody can develop a platform, and this book shows you how to do it while you’re still writing. After you read this book, you’ll be able to answer the inevitable question: “What’s your platform?” with ease and professionalism. You’ll learn the hows and whys of becoming visible and how to cultivate visibility from scratch. Best of all, you won’t need any previous knowledge or experience to get started. Everything you need to know is here, in one source. You’ll discover that growing a writing career isn’t just about landing one book deal and then scrambling like crazy. There is a more strategic and steady way to lay the groundwork so you can avoid scrambling altogether—and Get Known Before the Book Deal is the only comprehensive book that shows you how. The Get Known Book Tour Begins in November! Come hear me talk about Get Known! Saturday, Nov. 8th from 12:45-1:45 p.m. If you would like to invite me to your conference or event, please email me at writermama@earthlink.net.